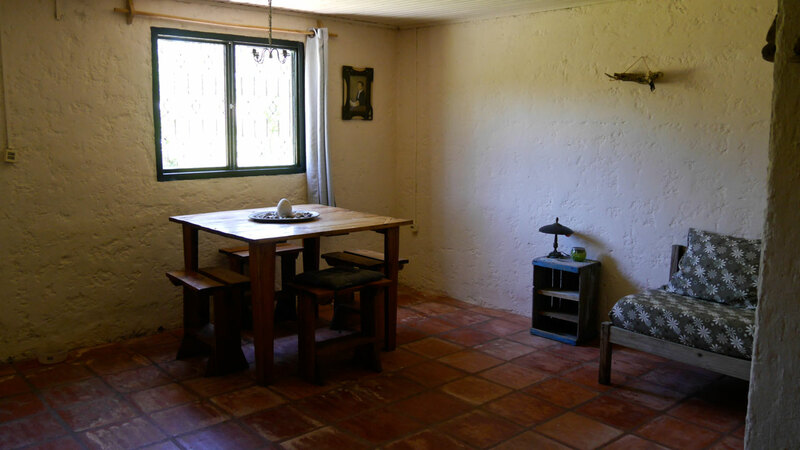 This property is a great opportunity to start a self-sustainable life. Being self-sufficient with food, electricity and water. 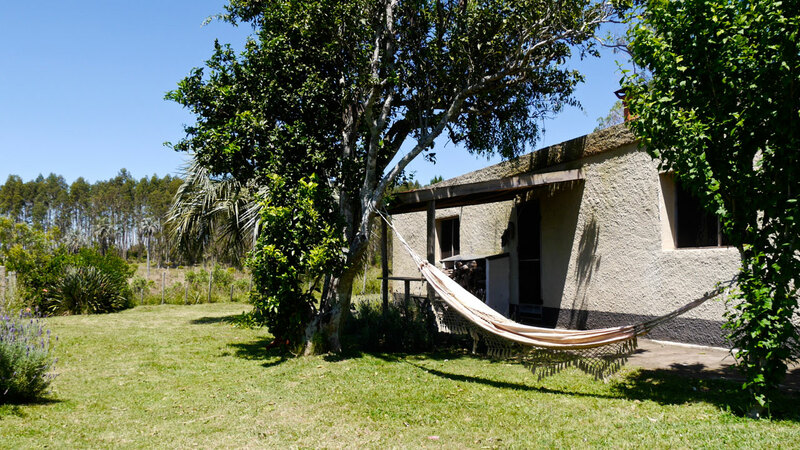 That is possible at this great place in Uruguay. 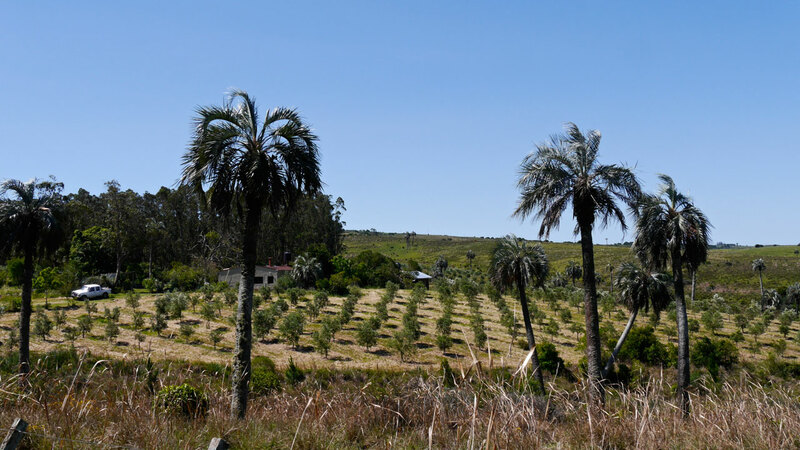 At about 12 kilometers from Castillos, a small town in the province of Rocha, you will find this olive farm. 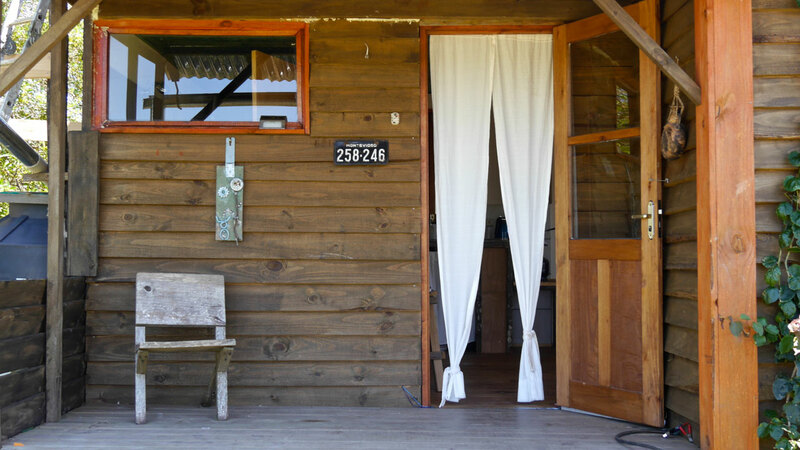 Located on a quiet road and with an idyllic view over the green farmlands. 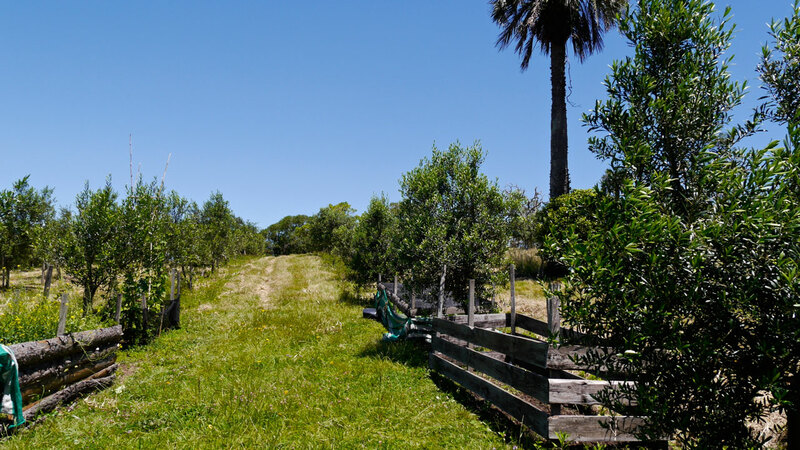 The well-kept house has an area of 145 m2 and is surrounded by palm trees, a well-kept flower garden and the olive grove. A little river runs through the property and a natural swimming pool can be found below. 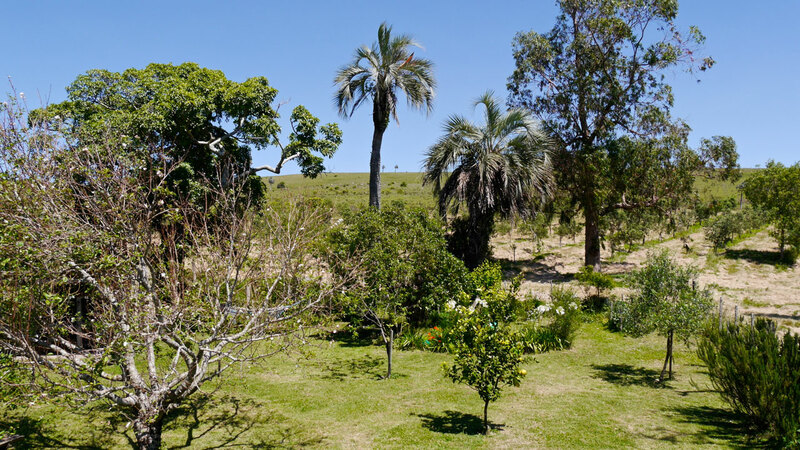 In the garden you can find an old ombues tree which is typical of the province of Rocha. 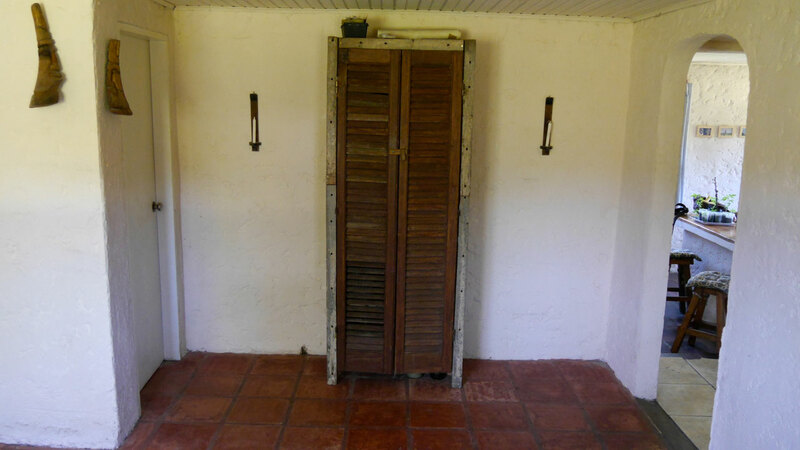 In the garden there is an outbuilding, chicken coop and a covered outdoor kitchen. 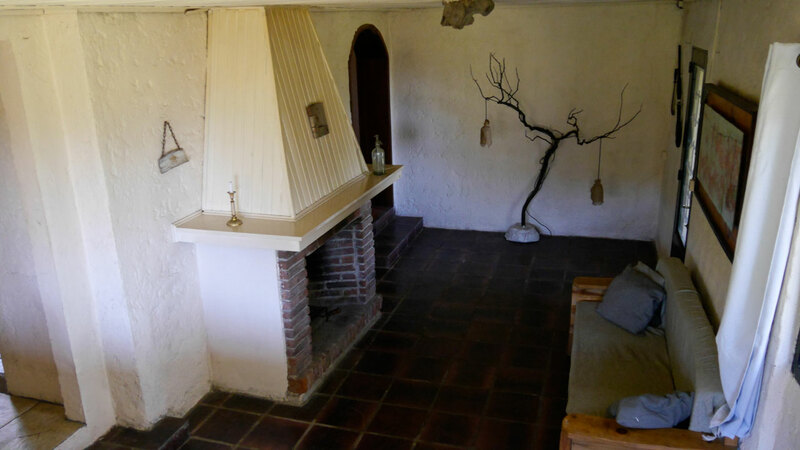 ​At the front of the house is an open kitchen with fireplace and direct access to the front yard. 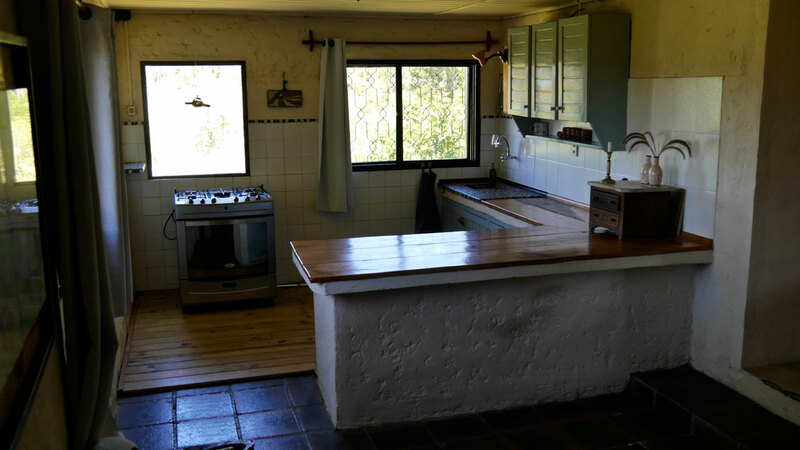 It is a modern kitchen with connection to drinking water. 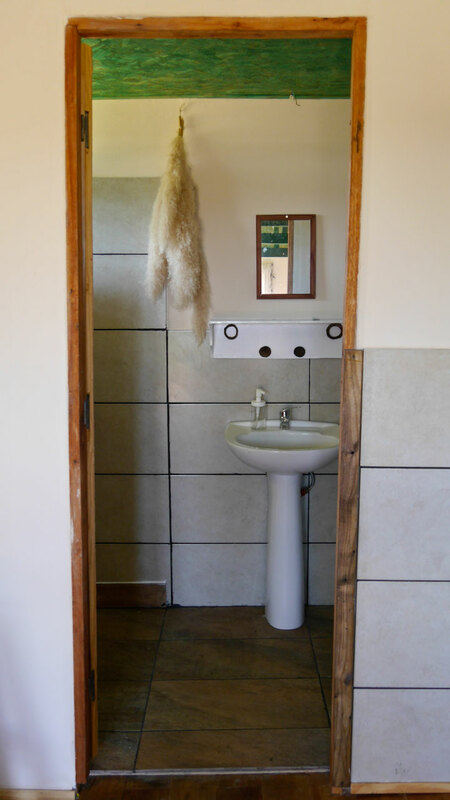 The bathroom is functional and well maintained. 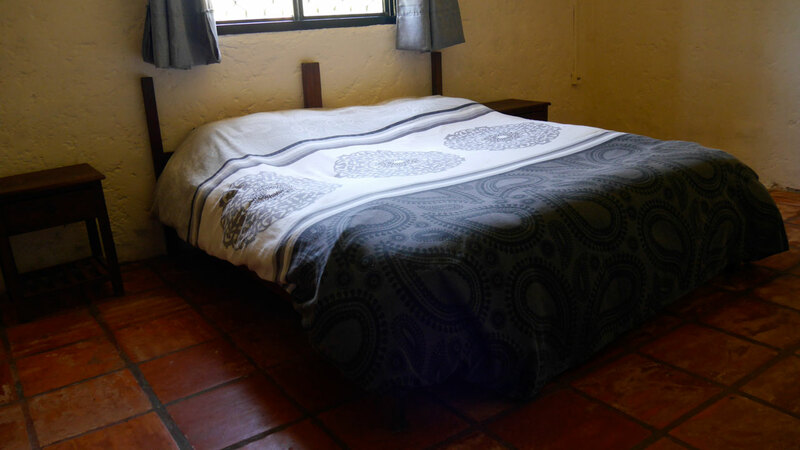 At a suitable distance there is a guesthouse with room for two adults. 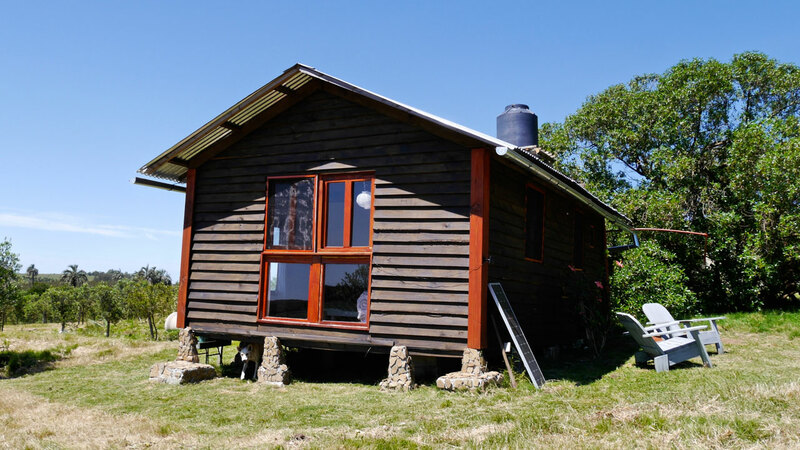 This already completed holiday home has its own electricity, water and a great view over the olive grove. This house is equipped with its own electricity by means of solar panels. 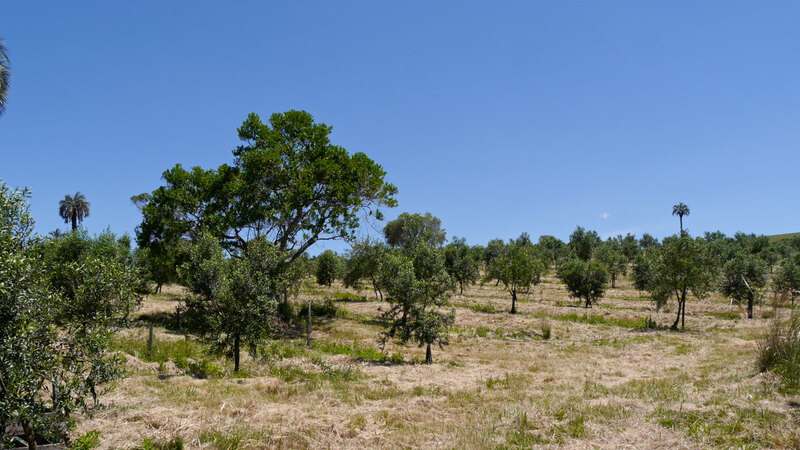 ​This farm is in possession of 1200 healthy olive trees that are also very interesting for sale. 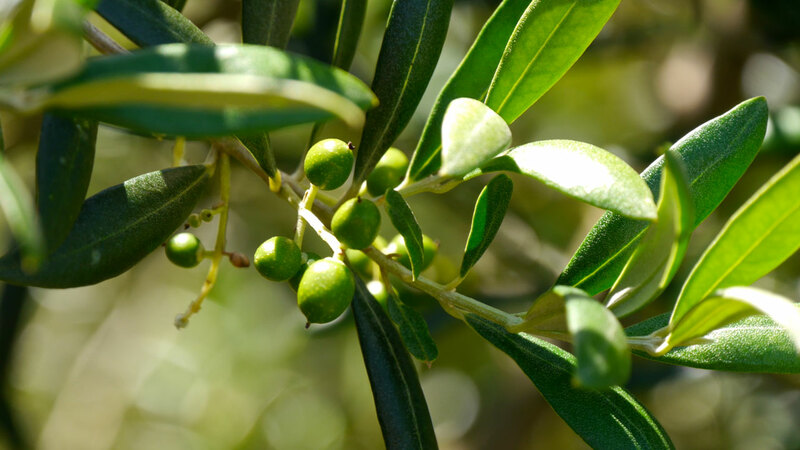 The value of 1 olive tree is at least 100, - US Dollar. ​The soil is very fertile and suitable for growing food or crops. A natural spring at the top of the hill gives the country enough water. The stream that connects to the natural swimming pond makes this farm so unique. Castillos is a village located 12 kilometers away from this farm. 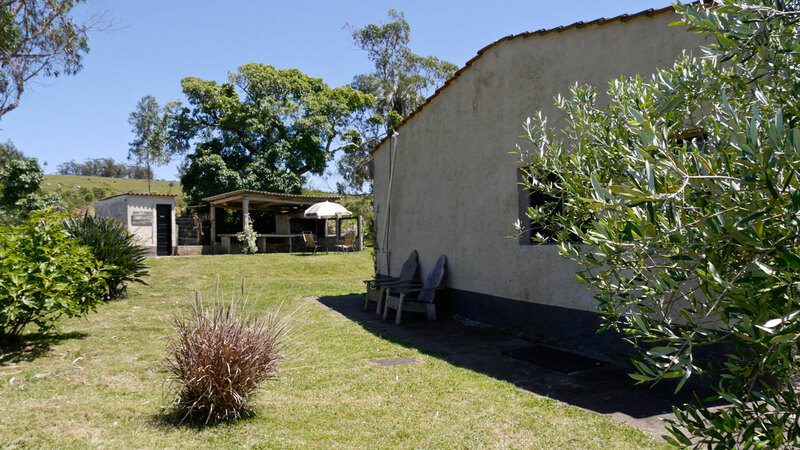 From an unpaved but well maintained road, you arrive in this typical Uruguayan village. It is a cozy and friendly village with all necessary facilities, where the locals do their shopping and regular events are organized. There is a rodeo every spring where the local gauchos show their skills. 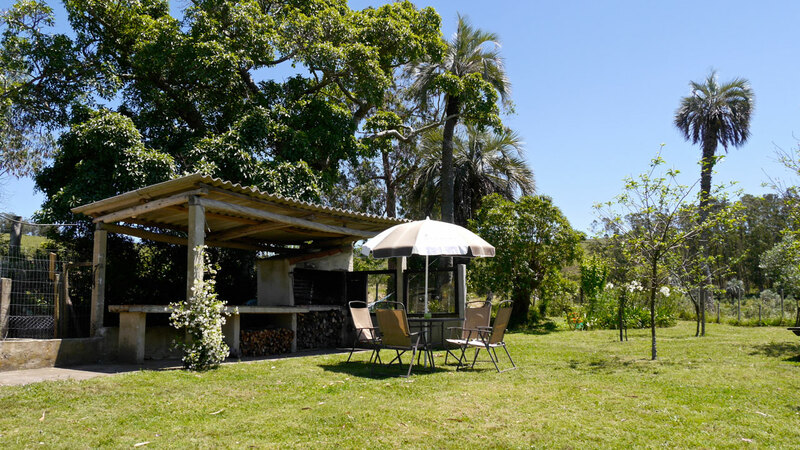 Rocha is one of the fastest growing provinces in Uruguay in terms of tourism. 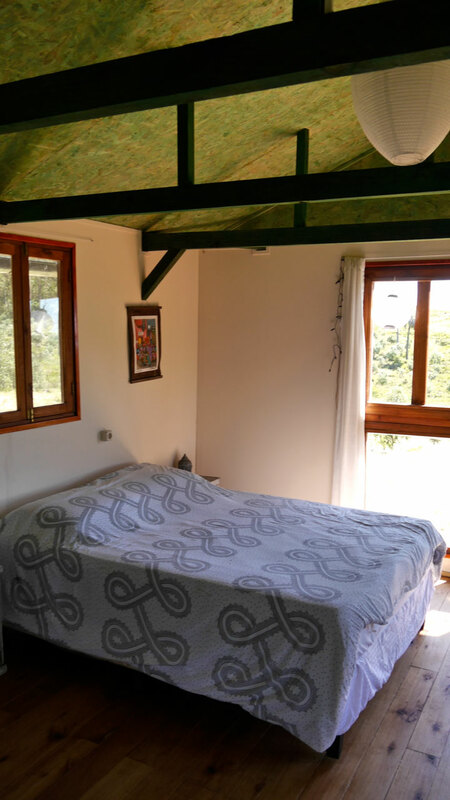 More and more people know about Rocha and it is not only popular on the coast. 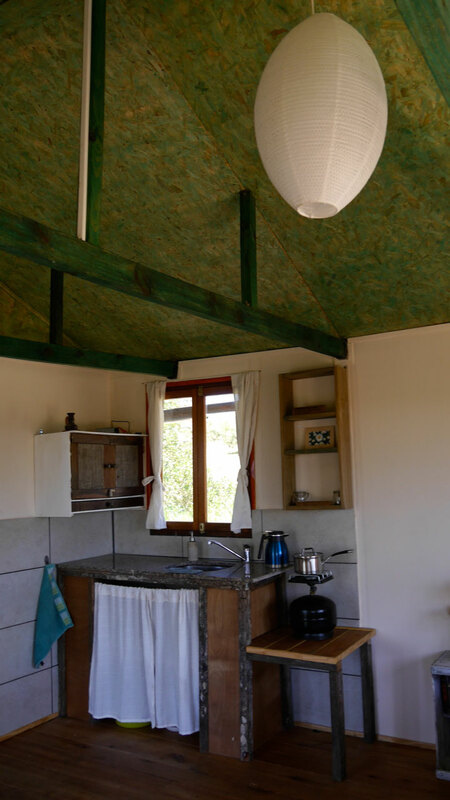 The interior of Rocha is also becoming more and more interesting because of the untouched nature and the constantly growing eco-tourism.